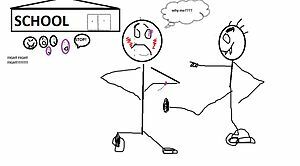 Have you ever noticed that a bully and target relationship consists of peer-support on the side of the bully? There may not be the matter of in-your-face cajoling from people surrounding the target, but harassment or intimidation continues permitted. It’s a social game based on self-preservation for everyone involved. If co-workers or underlings in the workplace are letting inappropriate treatment slide, then you can rest assure that none of them want to be targeted themselves. The object of threat in this case is temporary. 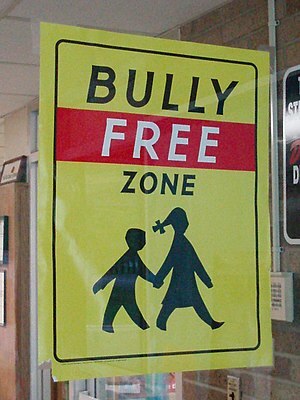 Bullying only has its strength in the targeted person’s belief of who has the real power. And this can be changed in an instant. The reversal in power happens, when the target responds to the bully’s shaming remarks, with a word or phrase that requires a further explanation. For example, when someone tells you “your too quiet” and the response to this is “explain”, the person who made such a statement has to come up with his reasons. Lets say that the bully does start listing what he believes are valid reasons for saying this. How about “Well you don’t talk much.” And you repeat the word “explain.” And then he says “Well I don’t hear anything from you when everyone else is talking.” This guy has made you the most powerful person in the workplace or classroom. And he has included everyone else in his obsession of your every action. What makes your behavior so powerful? Energy and freedom are two motivating factors we can make mention of when helping the client to look at current behaviors. Certain behaviors can be considered as hot commodities. One of them being a physical action which proceeds with very few words attached to it. When I tell a child to stop doing a certain action with his possession of an object or toy, it is more effective to take the toy and point to a seat. No matter how much he/ she protests, I stick to my directive of restricting his freedom to sitting in my prescribed location. The immediate consequence is his/ her restriction to a spot I pick and loss of the object or toy. For me to stand there and argue or try to calm protests is to spend my energy when it is not necessary. My action of swift physical action and few words attached is saving me energy and I have control in the transaction of freedom for the child.